The 458 Spider will have a folding hardtop instead of the canvas top offered on the 430. REGGIO EMILIA, Italy -- Ferrari has announced that the new 458 Spider will cost 226,800 euros in Europe, where sales begin next month. U.S. sales of the supercar, which is a derivative of the 458 Italia two-seat coupe, start in January 2012. The U.S. price is $257,000. When compared with the 458 Italia coupe, the Spider costs about 15 percent more. It's a price premium that Ferrari has been charging for the last decade for the open-air versions of models such as the 430 and 360. Ferrari customers also usually spend the equivalent of 15 percent to 20 percent on top of the car's list price – in this case that would be about 45,300 euros – to purchase personalization items from the company's Carrozzeria Scaglietti program. These items include 5,760-euro carbon fiber seats and a 2,640-euro rearview camera. 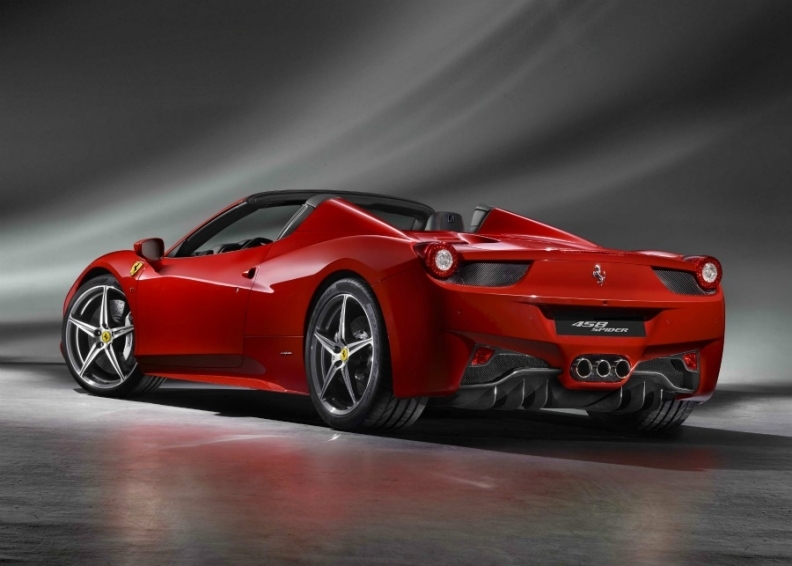 The two-seat 458 Spider debuted earlier this month at the Frankfurt auto show. The 458 Spider replaces the 430 Spider and features an aluminum retractable hardtop instead of the canvas top offered on its predecessor. Webasto AG supplies the 458 Spider's roof system. The German supplier also sources the roof system on the Ferrari California four-seat convertible. 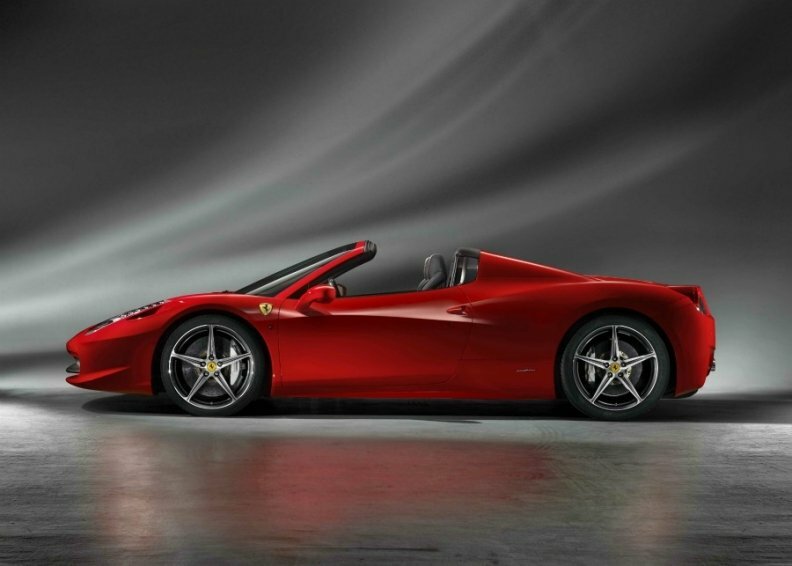 Ferrari says its patented, fully retractable hardtop is a world first for rear-engine sports cars. The all-aluminum hardtop solution adopted for the 458 Spider offers a number of advantages over the traditional folding canvas top, including a 25kg weight reduction and a deployment time of just 14 seconds. The 458 Spider's powertrain is the same as that on the 458 Italia coupe -- a normally aspirated 4.5-liter V-8 delivering 570 hp coupled with a Getrag seven-speed dual-clutch transmission. 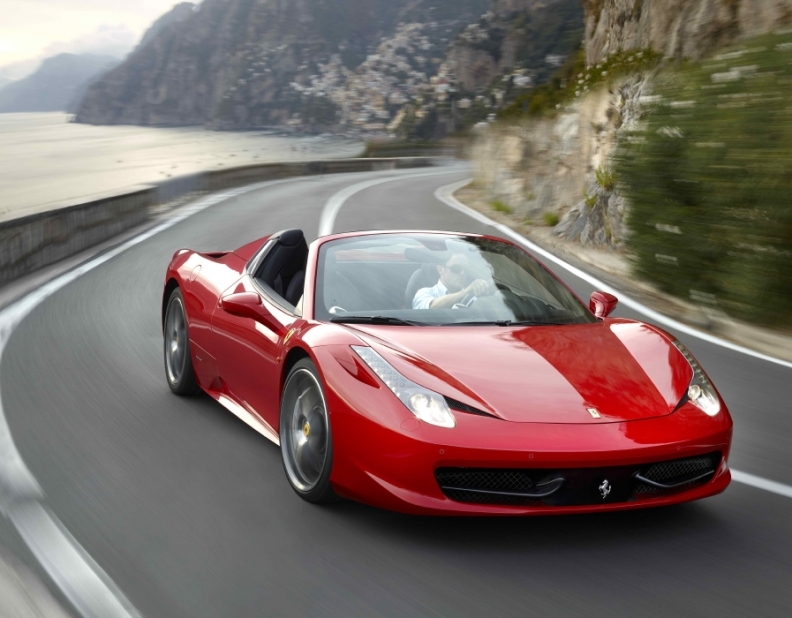 The 458 Spider accelerates from 0 to 100kph (62 mph) in less than 3.4 seconds. Its top speed is 320kph. The car uses 11.8 liters of fuel per 100km (24 UK mpg or 20 U.S. mpg) and has CO2 emissions of 275 grams per kilometer. For maximum comfort while driving with the top down, the 458 Spider features a large adjustable electric wind stop, which is designed to enable normal conversation to be held at speeds of more than 200 kph.